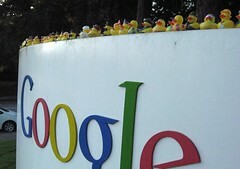 →Google Buzz- What’s the Big Deal? Google Buzz- What’s the Big Deal? It seems like every day there’s something new at Google and everybody shouts it to the roof-tops as the “next big thing”. And why not, they’ve built themselves a pretty attractive set of free applications to make our lives easier, right? Google just announced “Google Buzz” a Twitter/IM/graphical email browser application that hangs out with your Gmail account and lets you know what your contacts are doing, share images, videos publicly or privately. You can get comments on your videos sent right to your Gmail account. Even on your phone through the mobile version of the site. I’ll save the long list of bells and whistles for the video below. Should you rush out and get to Buzzing? Honestly it depends on how much you use Gmail in the first place. If you use it a lot and want to be able to share and browse shared content through your email client you probably will use it. If you don’t then you might want to just sit back and watch for a while. Google Apps, iGoogle, Google Wave, Google Buzz, no matter how you look at it Google is doing some things that could be game-changing. And they also seem to want to be the center of the universe. And here was I thinking that Google could do no evil. Wow amazing!Google is becoming more and more popular day by day by adding such helpful social media services.It allows users to check in by updating their Buzz status with a Google Maps link to their location.